Medium: Watercolour, Ink, Colour Pencil accents. 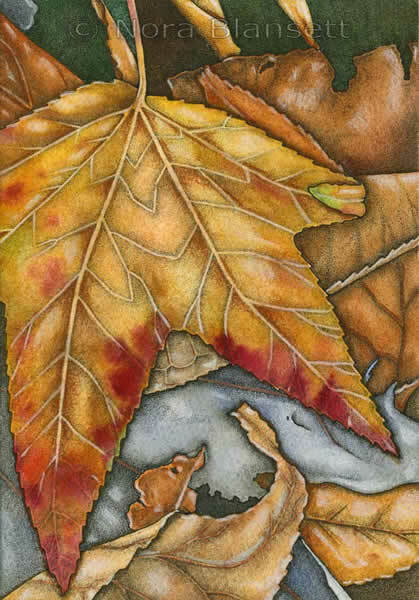 Describe this Piece: This piece reflects the colours of leaves on an Autumn forest floor. It is based on the beautiful photography of Michael Evans. The leaves is very good the best I saw of a close up when I paint like that then I wil say that I can paint very good.